Great beginner’s guitar for sale. Excellent condition. Good sound. 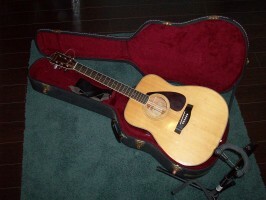 Yamaha FG-340 Acoustic (approx. 15 years old). New strings. Includes hard shell case, capo, pick up, strap and stand. Asking $100. Contact John Cressman at 519-570-9768. See photo below.